During Ramadan 1439 Hijriah, Universitas Dian Nuswantoro (UDINUS) conducts various Islamic activities, one of them is Islamic study before break the fast together. 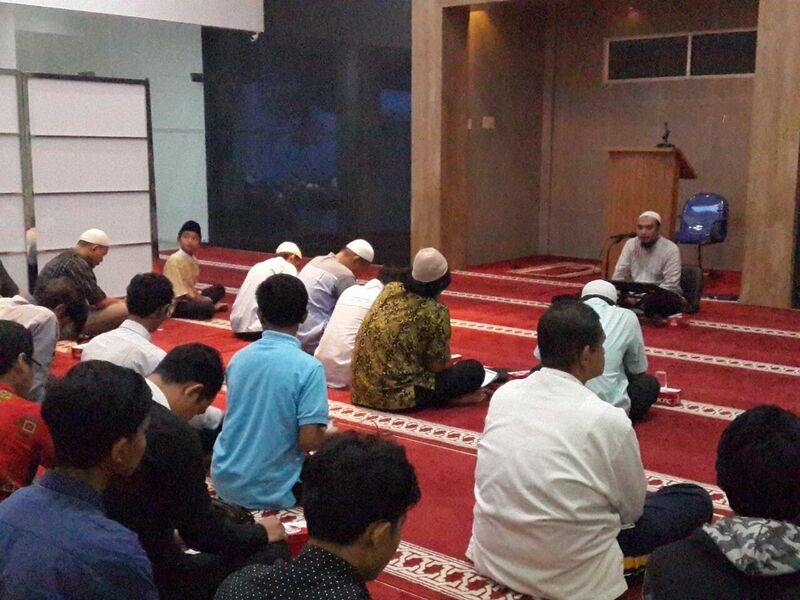 The Islamic study is conducted every day in Baitul Ilmi and Baitul Mutaqien Mosque. The study material and the speaker are changed daily. The material of the Islamic study is inspired from daily activities. One of the materials was presented by Imam Effendi S, Ag, he discussed about respect to each other, especially among students and lecturers during classes. According to Effendi, the study about daily activities is very beneficial for students to make them aware. “Young generation of Muslim must respect teachers who will lead them to success by listening to them and apply the lesson for goodness,” he said. Effendi also reminded students to do charity. He said that through charity many benefits could be earned such as improving empathy and also prevent someone from miserly. "It's a human disease nowadays. Miserly can be prevented by doing charity, "he said. The Islamic study is usually followed by UDINUS’ students, lecturers, and employees, and after the study, all of them will break the fast together. To break the fast, UDINUS provides food and drink for more than 2000 people every day in the 2 mosques.